Heat skillet with butter. 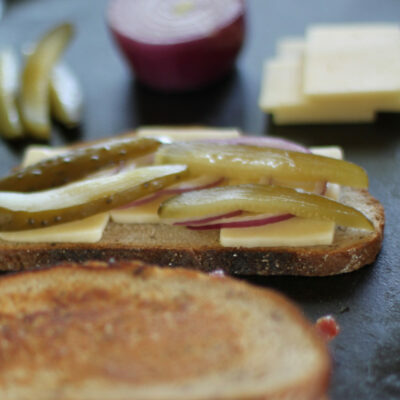 Make three sandwiches with cheese, pickles, bacon and onion. Grill each sandwich over medium heat until golden brown. Flip and grill the other side, adding butter to the skillet as needed. Substitute with Organic Dill Pickles or Organic Spicy Dill Pickles.